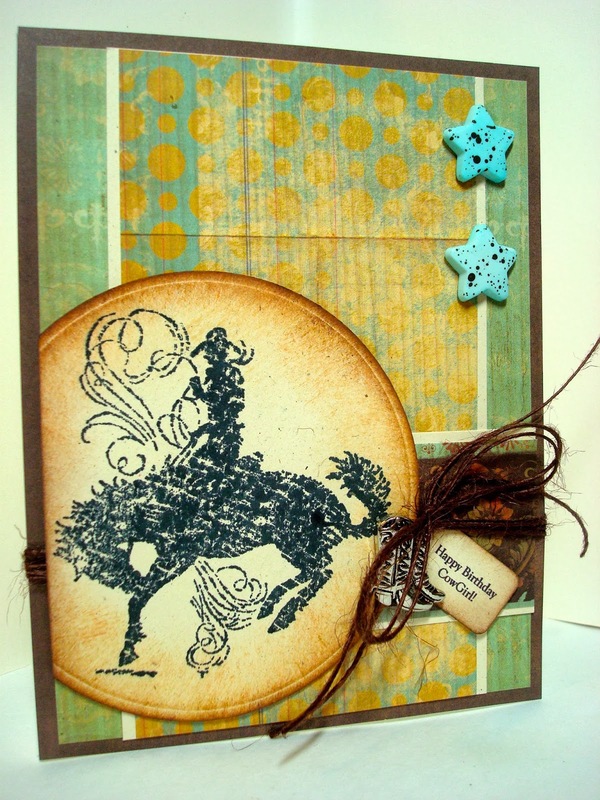 Amy's Creative Pursuits: Happy Birthday Cowgirl! Gorgeous Amy!! I love your cowboy image, your colors, the added stars, the twine and the sponging!! Oh wow you used perfect colors for the theme ! Superb image ! What a great card! I love the distressing and embellishments you chose! Beautiful card!! My DD's love horses so they would love this!! !